Linda Farrow is proud to announce the launch of its debut N°21 by Linda Farrow eyewear collection. Linda Farrow continues to push the boundaries of eyewear and collaborates with N°21 in the creation of a unique line of sunglasses. The timeless yet innovative aesthetic of N°21 blends perfectly with the luxurious craftsmanship of Linda Farrow. Inspired by the volumes and colorways found in the N°21 Spring/Summer 2017 ready-to-wear collection, Linda Farrow has developed a line of three classic feminine shapes revisited in a contemporary way through innovative materials and unexpected details. 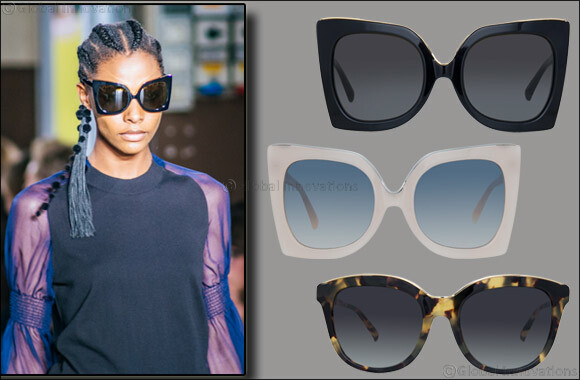 N°21 by Linda Farrow eyewear collection, is available exclusively at GRAND OPTICS, in the Middle East. Please find below the link to download the press material and the full eyewear collection.